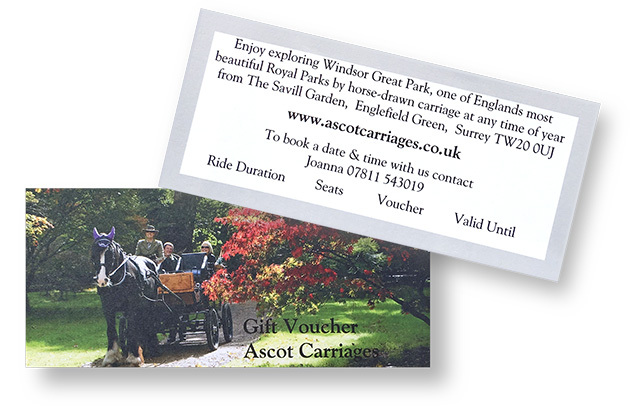 Our Carriage Ride Gift Cards have been so popular we are suspending sales of vouchers for the time being, until the current vouchers in circulation have been redeemed. We will let you know as and when they are next available. Private Carriage Tours of one hour duration offer more flexibility on dates and available on a date and time to suit you! We will contact you regarding payment options normally within 24 hours, and Gift Cards are sent 1st Class Post.